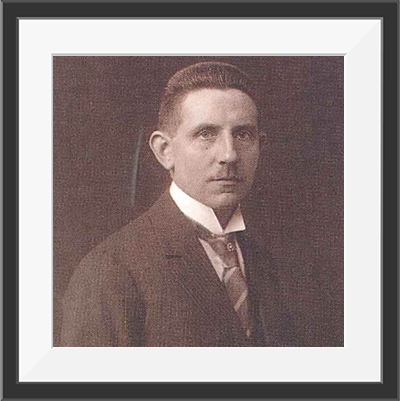 On 16 November 1920, Clemens Rump and Hubert Flerlage laid the foundations for the company now known as RUF – which began life as Rump & Flerlage oHG. They probably could never have imagined in their wildest dreams that a factory manufacturing dessert and cream powder would come so far in almost 100 years that followed. 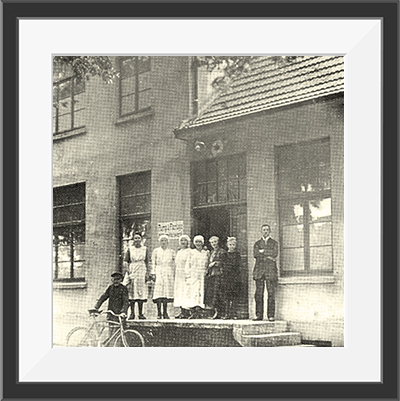 Yet Hubert Flerlage’s specialist expertise in producing dessert powder and Clemens Rump’s solid business acumen and entrepreneurial ambition combined to create a company whose guiding principle still stands the test of time: offering the best quality at the right price. Of course, the company and product branding should also reflect this claim. Accordingly, the new brand name RUF ultimately emerged from the initial letters of the names Rump and Flerlage. Yet what the founders lacked in materials and equipment, they more than made up for with idealism and hard work. The early years were tough: after the First World War, Germany experienced high levels of unemployment and inflation. In November 1923, one billion paper marks were worth just one mark in gold. Everyone had to make every penny count. At that time, nobody could afford to make a dessert from 12 eggs, lots of butter and sugar, as called for by the old recipes. Yet people still longed to treat themselves a little. New desserts came into fashion and recipes emerged in cookbooks that were puddings made from starch and added flavourings like vanilla and chocolate. This kind of pudding was the future. Clemens Rump and Hubert Flerlage had the right nose for this new trend. Yet there were already several major dessert powder manufacturers in Germany. Accordingly, the company began by distributing goods only in the local area, within a range of no more than 50 kilometres. Despite heavy competition, things improved. 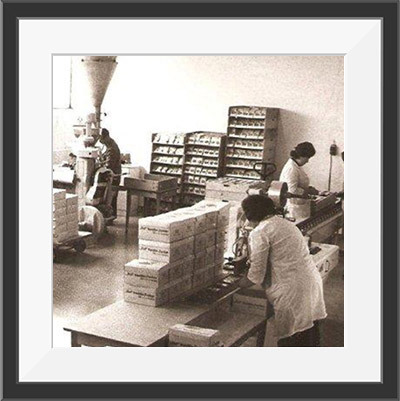 The company was solidly run and held its ground among the competition. This was due in particular to the high quality of RUF products, which were awarded gold and silver medals in 1927 at the North German Culinary and Commercial Exhibition. In 1930, Hubert Flerlage left the company and Clemens Rump carried on alone. The years of the Second World War were another testing time. The secret to a good pudding is its ingredients – but these were only available on a ration book. As RUF produced affordable basic products, the company was able to hold its ground after the war and during the currency reform. The German economic miracle also ushered in boom times for RUF. Soon the old company premises were too small and were gradually expanded. More efficient machinery was acquired to quench consumer demand. 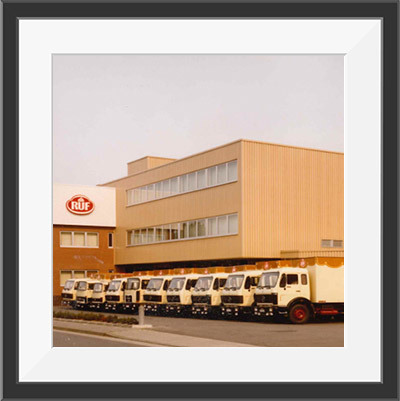 New retail contacts were made and soon lorries were criss-crossing Germany to fill supermarket shelves with RUF products. Since the first few years after the war were all about ‘getting enough’, consumers now sought higher-quality products that weren’t everyday. RUF was very successful in this regard and expanded its range further: gourmet desserts, fruit desserts, no-cook desserts, instant desserts, baking mixes, cake glazes, baking ingredients and many other sweet specialities were added. The new factory floors with the latest facilities and an internal development department helped meet rising standards and constantly increasing demand. The business concept – quality at affordable prices – was rewarded by retail and consumers. Yet it wasn’t just the production that was constantly being adapted – the look and feel of the company was, too. With the new modern production facilities came a new logo that showcased RUF’s products in a new design. From early 1986, RUF began producing and distributing natreen desserts exclusively for the German market. National cooperative advertising with the slogan ‘natreen makes the sweet life lighter’ made the extensive range of lower-calorie products a national byword. In the 1990s, it became clear that continuing to expand production in Quakenbrück could become difficult. 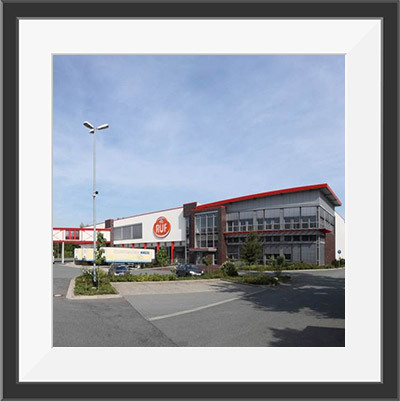 Accordingly, in 1991, work began in neighbouring Essen (Oldenburg) on another production facility with a series of new packaging stations and a new warehouse for finished products. 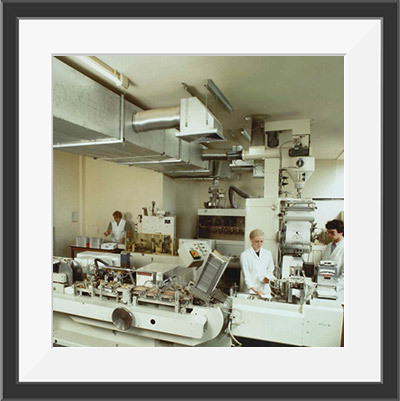 As of mid 1998, all dessert powder and baking ingredient manufacture took place in Essen (Old.). The company has grown continually to this day. Rising exports mean consumers can buy RUF products around the world. Always in search of the latest trends, the internal research and development department develops new products, including gluten-free, vegan and organic food. With around 300 products, RUF has a broad, balanced product range. The company always has its eye on the growing demand for delicious products and easy preparation.